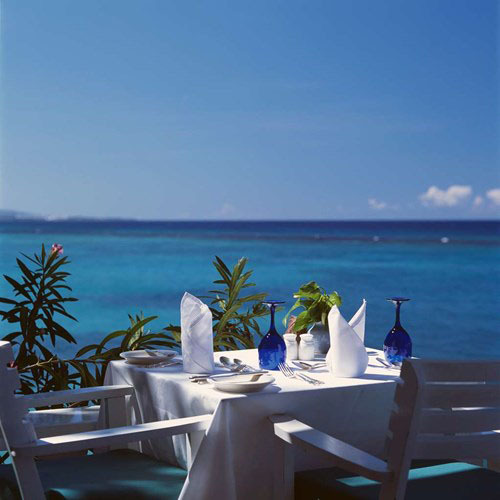 Jamaica Inn - Timeless Elegance & Luxury - The Travel Agent, Inc. 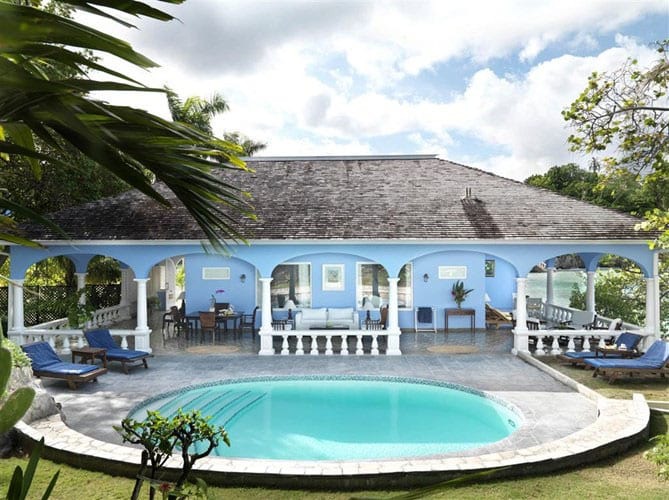 Opened in 1950, Jamaica Inn is a small, elegantly timeless resort located 2 miles east of the center of the town in beautiful Ocho Rios, Jamaica. 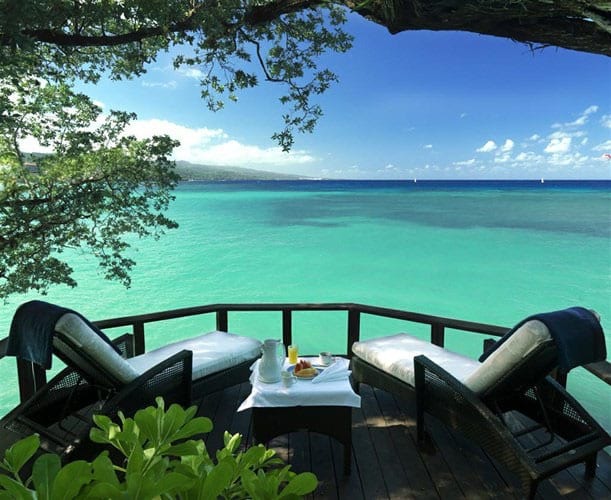 Jamaica Inn is a 52 suite family owned boutique hotel located on a premier private beach in Ocho Rios, Jamaica. This eight-acre property has a 700-foot premier private beach, which is often considered to be the one of the best in the Caribbean. Each suite is spacious, elegantly decorated and has a large Balcony or Verandah with a sweeping view of the Caribbean Sea. All balconies and verandahs have a sofa, wing chair, breakfast table, writing desk and coffee table. 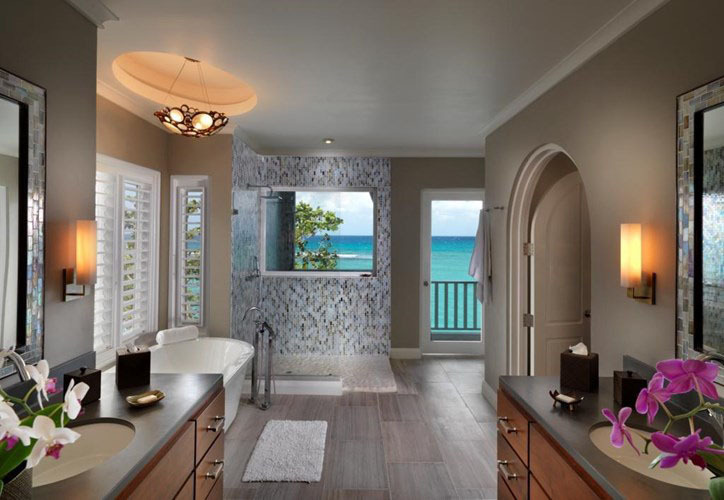 There are sweeping views of the Caribbean Sea from every room. There are no TVs, radios or clocks to take away from the tranquility, beauty & peace of mind. Be it on the dinner terrace or in your suite, have a flavorful 5-course gourmet dinner with fresh local ingredients. The dinner menu changes every night. Escape to this tranquil paradise. The always smiling staff that genuinely wishes to please gives Jamaica Inn an ideal get-away-from-it all atmosphere. Opt for the White suite that is magnificently situated on its own private peninsula or the breathtaking Cottage 7, Cottage 3 or Cottage 4 that overlook the Caribbean Sea with spectacular panoramic views. The White Suite has a swimming pool while Cottage 7, Cottage 3 & Cottage 4 have infinity plunge pools. 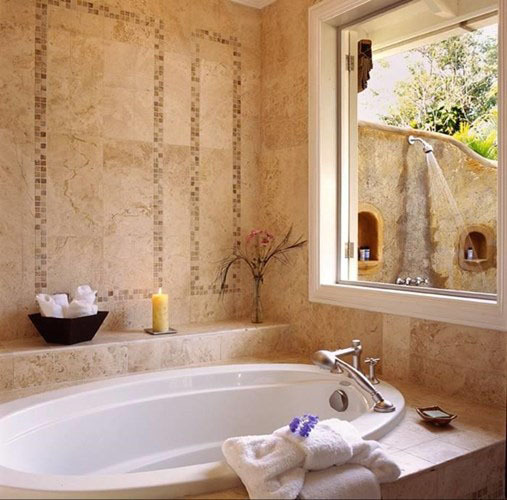 Infinity Plunge pools are also available in all of the Jamaica Inn One & Two bedroom Cottages. On-property croquet, swimming pool, snorkeling, paddle boarding, kayaks and sunfish sailing are complemented by windsurfing, sailing and diving facilities available nearby. The Inn’s Ocean Spa is set on an idyllic bluff overlooking the sea. The treatment facilities are in thatch-roofed huts with hand-carved wooden pillars, surrounded by tropical gardens. For a fun breakfast, choose a West Wing Premier Suite or the outside-deck corner table on the Restaurant Terrace, and feed the fish — they love muffins! 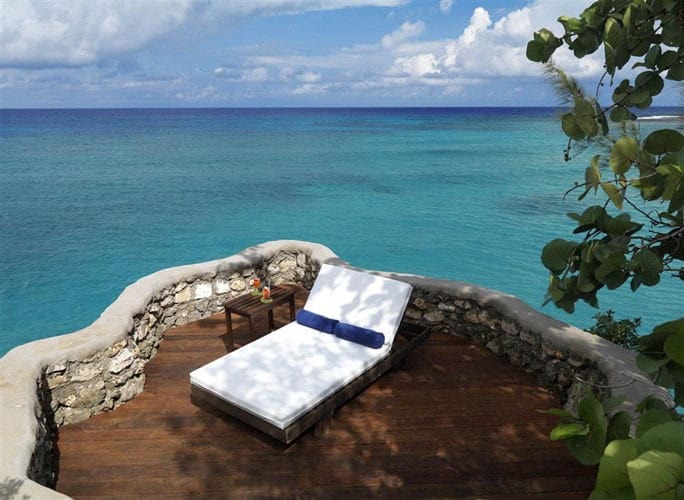 Condé Nast Traveler (Online) February 2015 has named Jamaica Inn one of The 16 Most Romantic places to Stay in the World.